When I was at school, I hated the fact that we had to remember the names of big people like who invented stuff and who did what. However, Neil Armstrong was a fairly easy name to remember who was the first human representative to step on the surface of moon. We here often say that we hate our life on earth and would love to migrate to moon. He’s the one who stepped there first, so his name kinda got stuck on my mind. Fortunately, I answered correctly in multiple exams till now where I had to write down Neil Armstrong’s name as the first man to step on the moon. Now that he passed away, and now that I write for an online news site, I had to dig into his past and write about him. Unlike Steve Jobs, whose quotes kind of inspired me to focus on life, Neil didn’t have any impact on me. Like I said, I never even Googled his name. But after he passed away, I kinda feel sad. I sure don’t know why. I just feel sad. Maybe he wasn’t really a superhero. Maybe he just got lucky. There could be someone else, or maybe astronaut Buzz Aldrin who was with him on the Apollo 11 who would step on the moon before Neil did and the world would’ve known Buzz’s name instead of Armstrong’s, but I don’t really care. Part of me feels that it’s not the Neil Armstrong’s pass away that makes me sad. It’s probably the fact that people do pass away. At one point, or another. In any case, Rest In Peace, Neil. Image and news: WIRED Science. 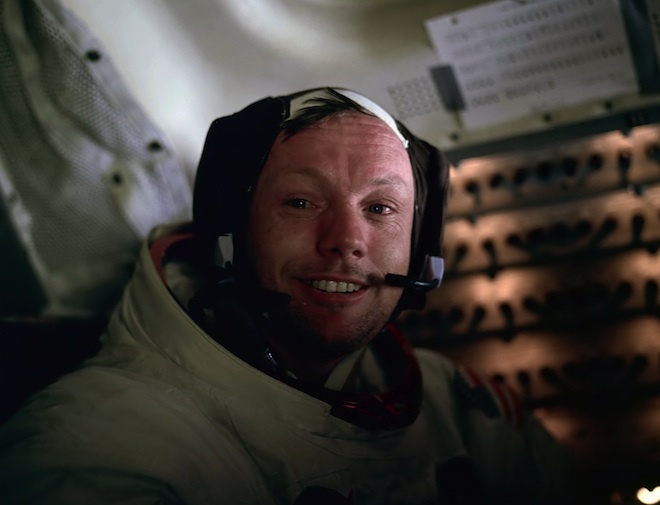 I remember him and the day he landed on the moon (July 20, 1969) Neil and the other astronauts opened up a whole world of possiblities by being willing to go to the moon. He is a hero to me. Sure he is a hero to the mankind. Are you in third grade? I think that whole generation of astronauts was amazing. Imagine going up to the moon, without really knowing if you would come back again? I imagined exactly like that. But he did come back, couldn’t avoid the death. That is the sad thing.